Apostle Paul part of the Get to Know series is a unique biography about Paul. Focusing on the life and character of this Biblical hero, using color photographs, maps, and other visual resources to tell the whole story, young biography fans will come to learn more about this man of the God, his writings, his impact on the early church, and the role he plays in history. What a great book! This book is for young adult (6-10 years) though I think older kids (8-10) would understand it better. This book is a pretty sturdy book for youngsters and packed of information. The book isn't a story it is more factual like what you would read in a biography. There are many pictures, which I loved! I feel like Biblical references could have been used more so that the reader would know where exactly things are said. 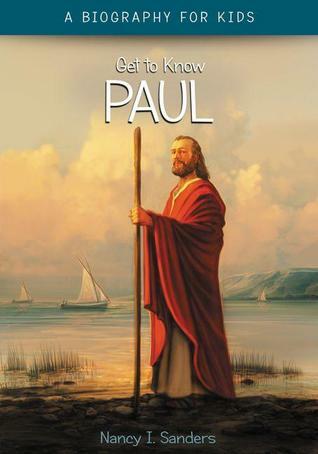 The book starts with Paul as a boy and how he grew up and until his death. The book is well written and explains many things that went on, things that I didn't even know. There are vocabulary words with definitions, which is helpful for the big words. This book would be great for home school students but really for any children, perhaps and Sunday school class. I think this book would create a great discussion between parent and child. Paul's final words, "I have fought the good fight. I have finished the race. I have kept the faith. " I loved this book and am excited to share it with the little ones in my life.